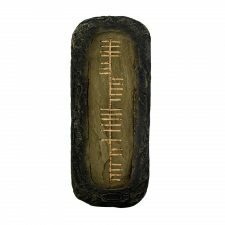 A beautiful Grá (love) Ogham wall hanging, handcrafted from a mix of bronze and limestone, highlighted with gold leaf script. 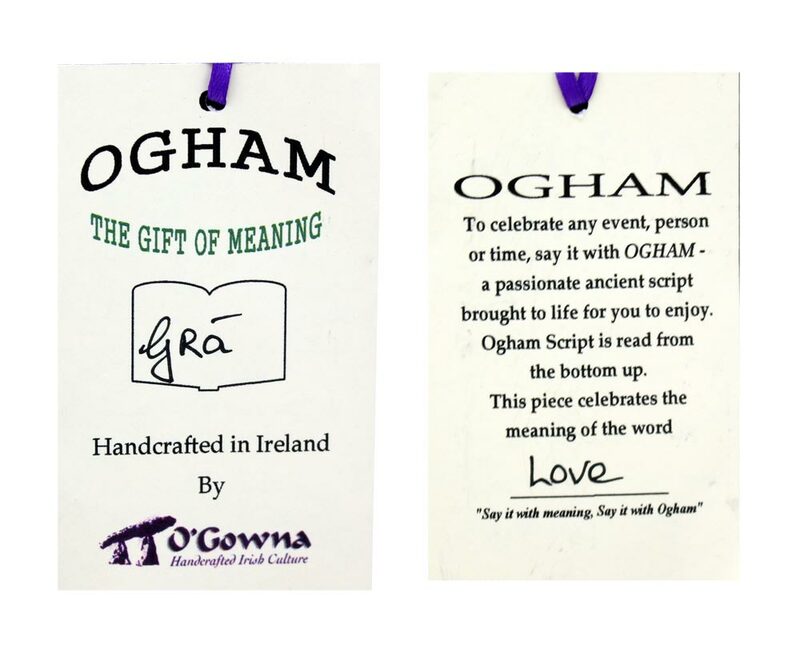 ‘Grá’, which is the Irish word for love is also shown under the Ogham script. 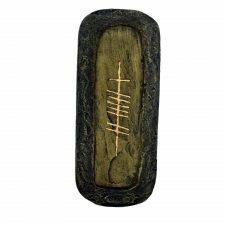 A perfect Irish gift as Ogham is the earliest form of Irish writing dating from c.4th century. 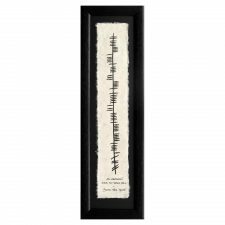 Grá gift from Ireland is a lovely small wall hanging, in Ogham writing. 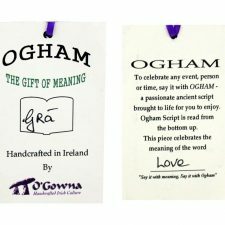 Grá meaning ‘love’ in Irish. 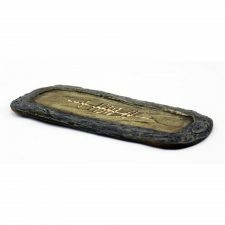 Ogham wall hanging handcrafted from a bronze and limestone mix highlighted with gold leaf script. 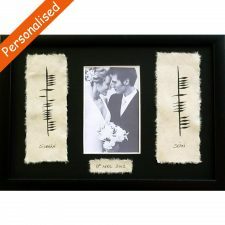 As these Ogham wall hangings are handmade there may be slight variations in shading, however, the same high quality of craftsmanship will apply to all pieces. 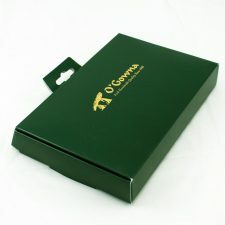 Grá gift from Ireland, perfect Irish gifts. Hi, got the gift today, wedding anniversary gift, my wife will love it! I’m very happy with the wall hanging! Exactly what I wanted. Very good quality and shipped to the US in less than a week. Very good service. Thank you!